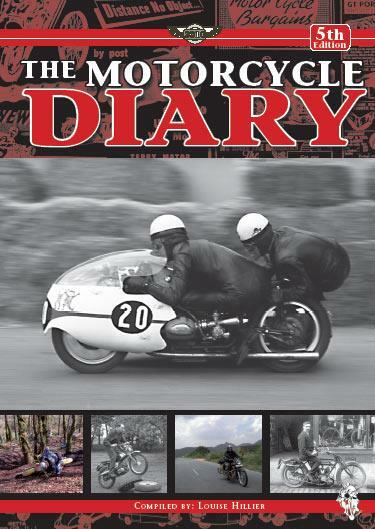 This latest edition of the popular Motorcycle Diary Compiled by Louise Hillier has just been released and is the perfect Christmas present for any motorcyclist or anyone who appreciates off-beat humour. It’s designed on a week-to-view layout. Designed in Cornwall, the Motorcycle Diary is a quality spiral bound softback which will delight anyone who loves bikes and the reasons why we ride them. It retails for £9.95 and costs £2 extra for postage and packaging to the UK. Contact Order Line Books Direct on 01326-569444.